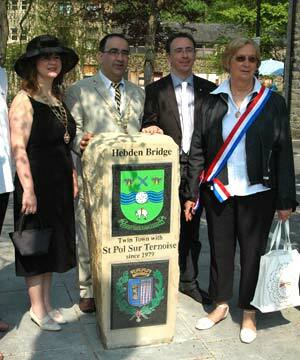 The Committee works closely with the Hebden Bridge Twinning Society in all aspects of Town Twinning. 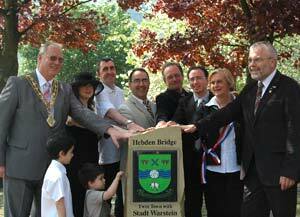 The Hebden Bridge Twinning Society exists to promote and develop social, cultural, educational, recreational, economic and municipal links between the area and local communities in other countries. The Hebden Bridge European Group has been active since the early 1970s and developed many positive links with our twinned communities in that time. In 1995, the group became the Hebden Bridge and District International Group and then the Hebden Bridge Twinning Society, changes which recognises the wider international links that are developing and reflects the broader geographic area from which membership is drawn. Hebden Royd is twinned with St Pol sur Ternoise in northern France and, more recently, with Warstein in Germany. The Twinning Society plays a central role in developing and maintaining these twinning links and is also actively involved in the wider twin links throughout Calderdale - for example with Strakonice (Czech Republic), Musoma (Tanzania), Halifax (Nova Scotia) and Mayo (Eire). The Group meets regularly for both business and social purposes and aims to encourage as wide a membership as possible from the local communities. 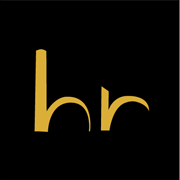 Business meetings are held, news letters are produced to keep members informed of a range of issues and events, and social functions are organised on a regular basis. The group organises exchanges with twin towns and seeks to promote and facilitate the initiation and development of international links by other local groups. The group is non profit making and finances its activities principally from membership fees. 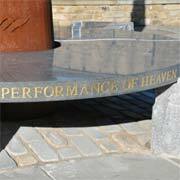 Special events are supported by fund raising activities and, where possible, by grants.